Reading a book is generally a solitary activity, but we often like to share that experience by discussing the book with others. Hence the popularity of book clubs. I tend to think of book clubs as a modern phenomenon, but the truth is people have been getting together to talk about books for centuries. My personal experience with book clubs is relatively recent. A friend invited me to join her book club about four or five years ago. She had been a member of that club for a long time, at least ten years. Life changes had resulted in some women leaving the group and they were looking to add to their numbers. It has been great being a member of Reader’s Den since then. I’ve enjoyed our monthly meetings and reading the books. 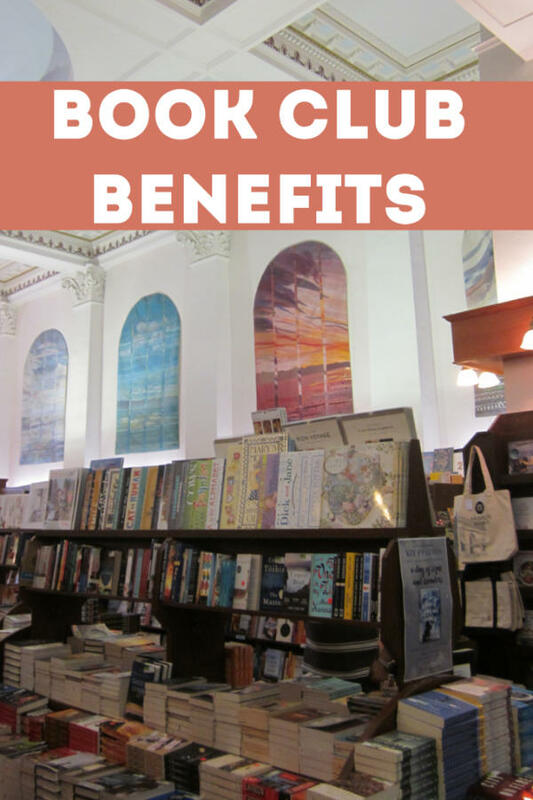 Here is my perspective on the benefits of being in a book club. As part of the book club, I’ve read books I likely wouldn’t have picked up or even known about otherwise. Some I’ve enjoyed. Others were a struggle. There were a few books I would have abandoned early on if they hadn’t been ones we’d be discussing. I feel a certain commitment to getting through a book club book. I’ve generally been glad I presevered because the book grabbed my interest later on or there was something worthwhile gained by going through the full story. There is discussion about other books at each meeting when we plan the upcoming schedule or when people mention what other books they are reading. That has led me to other great books and authors beyond the book club monthly selections. It is fascinating to find out what the other women think about the books we read, what parts of the books resonate with them, and what parts they find unbelievable. Usually there are a variety of divergent opinions. Even in books we have universally loved, the reasons we liked the book differed. We all read through the lens of our personal experiences. Others pick up on nuances in the book I missed or offer explanations for actions I might not have considered. The story becomes richer when I consider these other perspectives. I read a book club selection somewhat differently than I read other books. I pay more attention to particular phrases or scenes that strike a chord. If I like or dislike something, I analyze why that is. In essence I go more deeply into a book I read as part of the club, often exploring the background and context in which it was written. After I’ve read a book club selection, but before we discuss it as a group, I may search for other reviews online. That may help me articulate what I am feeling about the book or open my mind to an alternative point of view. Others in the club do this too. We feel as if we’ve struck gold if we come across an interview with the author we can share at the meeting. As a result of delving deeper and gaining new perspectives from what others found in the books, I think I am a better reader. The attention I pay to book club books spills into my other reading. Because I consciously consider why something in a book club selection is meaningful to me, upsets me or bores me in order to explain that to others in the group, I’ve learned more about myself. I’ve also learned things to apply in my own writing through hearing what rings true or doesn’t to others and discovering plot mechanisms that work or don’t. The other aspect of book clubs the movie focused on was the friendship between the women. In the case of the movie, the book club was the bond that built and sustained friendships started in college. Most of the women in Reader’s Den were strangers to me when I joined. Many had been in the club a long time and knew each other fairly well. Some were close personal friends outside of book club. One other person was relatively new to the group. Since I’ve joined, one member has moved away and another new member has joined. There are currently nine in the group. Over the years, I’ve come to know each of the members better. We reveal bits of our own stories and personalities when we talk about why a part in a book appeals to us or disturbs us. 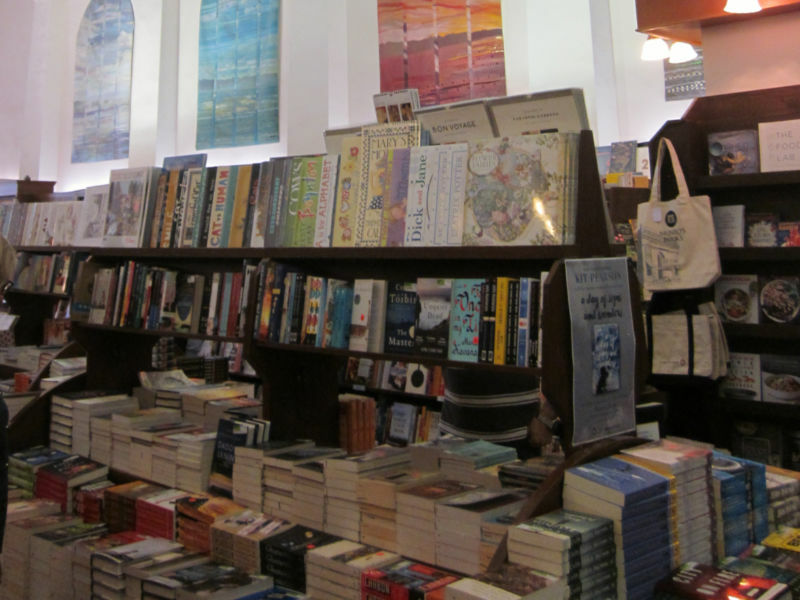 In the small talk before and after the book discussion, we share pieces of our lives. We’ve rejoiced in each other’s joys and been saddened by each other’s heartbreaks. In much the same way as stories unfold and characters are revealed in a good book page by page, I’ve come to know these amazing women little by little, meeting after meeting. I now consider them friends. Individual book clubs operate differently. Some approach discussions in extremely structured manners, often using preset questions. Others, like mine, are more informal and let the readers’ perceptions direct the flow of discussion. If you find a style and group that suits you, there can be a lot of joy, learning and satisfaction in a book club. Just as the insights I gain from others during a Reader’s Den gathering, so you have provided more richness to our experience as a book club. Many thanks, Donna! Thanks Linda. I’m glad you invited me into the club.